Sixty years ago, Billy Graham traveled across New Zealand and Australia, sharing the love of Christ in city after city. More than 3 million people—nearly a third of Australia’s population at the time—attended a Crusade event in 1959. This year, to commemorate the 60th anniversary of that historic tour, Franklin Graham will share the Gospel in half-a-dozen cities from one end of the continent to the other. Below are 10 short messages about the lasting impact of Mr. Graham’s 1959 tour. As you read these stories, please join Australia’s faithful in praying for a powerful move of God to take place once again. 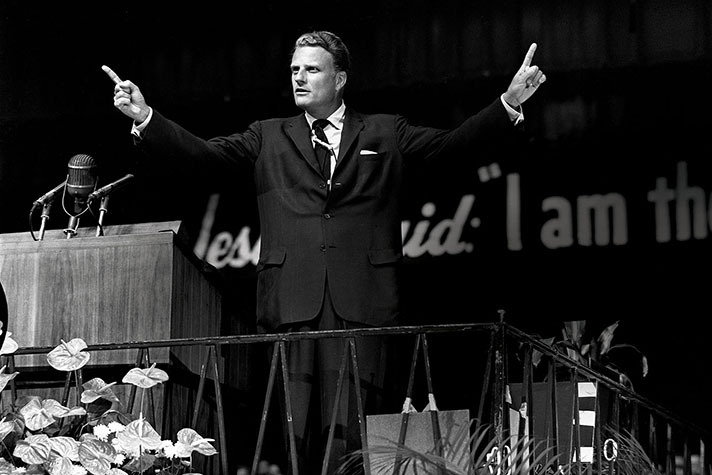 >>Watch a 90-second clip from Billy Graham’s 1959 Crusade in Melbourne. “In Sydney, Australia, I went with my mom to the ’59 Crusade; she accepted Christ. In 1971 I was led to Christ by a man who himself was led to Christ by one saved at the ’59 Billy Graham Crusade. Our children are all believers, and we are missionaries, reaching people in India and Nepal. I praise God for Billy Graham’s life.” —Geoff J. 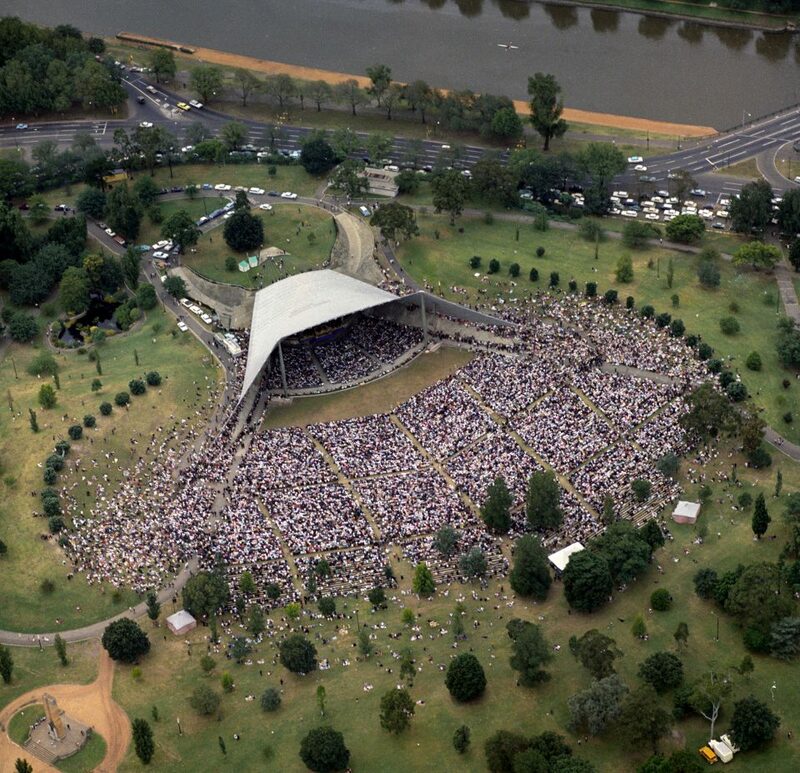 An aerial view of the Melbourne Music Bowl during Billy Graham’s 1969 Crusade in Australia. >>Find out more about the Graham Tour across Australia. >>Find out how to spend eternity in Heaven with Jesus.